It’s the time of the year when the college hockey season is coming an end and that means several things when it comes to NHL teams. For collegiate players who have been drafted, it means they have the opportunity to sign with the team that drafted them, potentially joining that team for the remainder of the regular season. However, for college players who either haven’t been drafted or have been drafted but never signed and just completed their senior season, they become unrestricted free agents and are free to sign with any team. In the recent past, Will Butcher and Jimmy Vesey joined the New Jersey Devils and New York Rangers, respectively, using this method. 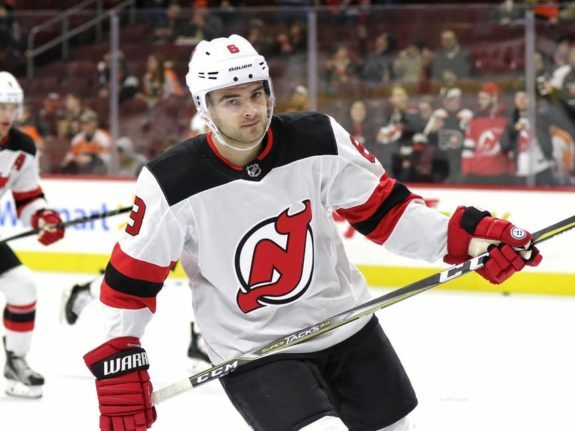 Already this season, the Dallas Stars have signed Josh Melnick and Joseph Cecconi, the Detroit Red Wings have signed Chase Pearson and the Ottawa Senators have signed hometown product Max Veronneau. Then there are the Nashville Predators, a team that has generally built its rosters through drafting and trading under the leadership of general manager David Poile. 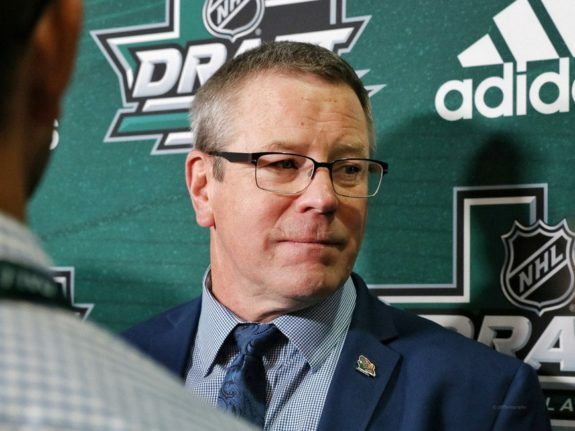 However, they have had a great deal of success drafting prospects with college hockey experience, including Craig Smith, Ryan Suter and Colin Wilson. They currently have 10 drafted prospects who played the 2018-19 season for an NCAA program, but only one, Tommy Novak, is a senior and can be lost to free agency. And with an NHL roster that’s fairly set in stone for the foreseeable future, it seems unlikely the Predators pursue any college free agents in 2019. Because of that, I felt it’d be a good time to look into the franchise’s history of signing college free agents and how their careers played out. In 1998, the Predators hadn’t even played a game yet as a franchise. In fact, when they signed their first college free agent, Mark Mowers, the expansion draft hadn’t occurred yet. Mowers was a center who played for the Saginaw Gears of the North American Hockey League and the Dubuque Fighting Saints of the United States Hockey League (USHL) before playing college hockey. He was never drafted, and afterwards played four seasons with the University of New Hampshire from 1994-95 through 1997-98. He finished his college career with 85 goals and 197 points in 144 games. In 1994-95, he was named to the Hockey East’s All-Rookie Team and was the conference’s Rookie of the Year. In 1996-97, he was named to the conference’s All-Tournament Team and capped off his college career with an incredible 1997-98 season. He was an NCAA (East) first-team All-American and was named to the Hockey East’s second All-Star Team. Oh, and he was a Hobey Baker Award finalist as the nation’s top college hockey player, losing to Chris Drury. The Predators signed Mowers on June 10, 1998 and he made his NHL debut during the 1998-99 season. He went between the Predators and Milwaukee Admirals for the next four seasons and finished his Nashville career with 85 regular-season games played, five goals and 18 points. He signed with the Red Wings in Aug. 2002 and also played for the Boston Bruins and Anaheim Ducks. He finished his NHL career with 278 games played, 18 goals and 62 points. He left the NHL for Switzerland during the 2007-08 season and stayed there through 2010-11, after which he retired. He has been a pro scout in the NHL since the 2012-13 season, first with the Montreal Canadiens and now with the Buffalo Sabres. Matt Henderson was a winger who played two seasons with the USHL’s St. Paul Vulcans before playing in the NCAA. He committed to and played four seasons with the University of North Dakota from 1994-95 through 1997-98. He accumulated 48 goals and 92 points in 135 games with UND and won a national championship with them in 1997. Individually, he was named to the 1997 NCAA All-Tournament Team and was the Frozen Four’s MVP. The following season, his senior campaign, he was named the Western Collegiate Hockey Association’s (WCHA) defensive player of the year. The Predators signed Henderson on July 14, 1998 and he was only in Nashville’s system for one season, with only two NHL games and no points. They traded him to the Philadelphia Flyers in Sep. 1999 and he also played in the Chicago Blackhawks system. He finished his NHL career with six games played and one assist. He left North America to play in Germany following the 2002-03 season and retired after the 2003-04 season. The first college free agent defenseman signed by the Predators, Jeff Kealty was originally drafted 22nd overall by the Quebec Nordiques in the 1994 Draft. The pick the Nordiques used to select him had been sent to them in the Mats Sundin/ Wendel Clark trade with the Toronto Maple Leafs. Kealty never signed and instead committed to Boston University, where he played four seasons from 1994-95 through 1997-98. He totaled 19 goals and 63 points in 137 games with B.U., won a national championship as a freshman and was runner-up as a junior. The Predators signed him on Oct. 12, 1998 and he played two seasons in Nashville’s system, both with the Admirals. He retired from playing following the 1999-00 season. However, although his playing tenure with the Predators was abbreviated, his relationship with the franchise didn’t end in 2000. He became an amateur scout for the Predators during the 2001-02 season and now serves as their director of amateur scouting, a position he’s held since 2007-08. Beginning in 2018-19, he also became their assistant general manager, replacing Paul Fenton. On March 30, 1998, defenseman Dan Boyle signed with the Florida Panthers after four seasons with Miami University (Ohio). He accumulated 40 goals and 147 points in 148 games and was a Hobey Baker Award finalist in 1998. 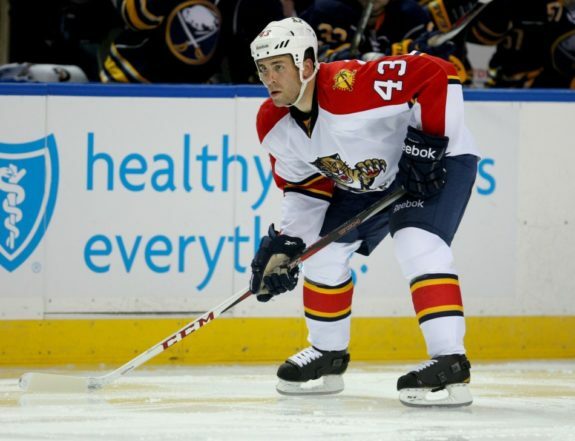 He lasted parts of four seasons with the Panthers and also played for the Tampa Bay Lightning, San Jose Sharks and New York Rangers. He won the 2004 Stanley Cup with the Lightning and finished his NHL career with 163 goals and 605 points in 1,093 regular-season games. He also twice finished in the top-five of Norris Trophy voting. Dan Riva was a center who played for the Omaha Lancers in the USHL and the Rhode Island Sharks in the Eastern Junior Hockey League. Afterwards, he spent four seasons with Rensselaer Polytech Institute and finished his college career with 47 goals and 120 points in 142 games. He was named to the 1998-99 Eastern College Athletic Conference’s (ECAC) All-Tournament Team and was a first-team All-Star. The Predators signed him on May 4, 1999. He spent two-plus seasons in their system, all with Milwaukee, and also played in the Flyers, Ducks and Senators systems. He retired after the 2003-04 season. Jayme Filipowicz, a defenseman, played in the USHL, for the Rochester Mustangs and the Fighting Saints, before spending three seasons with the University of New Hampshire from 1996-97 through 1998-99. With the Wildcats, he accumulated 114 games played, 14 goals and 88 points. In 1998-99, he was named an NCAA’s (East) second-team All-American and Hockey East’s first-team All-Star Team, and to Hockey East’s All-Tournament Team, the same season UNH finished runner-up in the Frozen Four. The Predators signed him on June 17, 1999 and he played two seasons with the Admirals. He also played in the Calgary Flames, Canadiens, Rangers and Bruins systems. He played the 2004-05 season in Germany and retired after. Jeff Halpern was a center who played three seasons with Princeton University prior to signing with the Washington Capitals on March 29, 1999. He played six seasons with Washington and also played for the Stars, Lightning, Canadiens, Los Angeles Kings and Phoenix Coyotes. He finished his NHL career with 976 regular-season games, 152 goals and 373 points. He is currently an assistant coach with the Lightning. Jason Blake was a winger who played four seasons with the University of North Dakota and won the 1997 National Championship before signing with the Kings on April 20, 1999. He played parts of three seasons with the Kings and also played for the New York Islanders, Maple Leafs and Ducks. He finished his NHL career with 871 regular-season games, 213 goals and 486 points. He also won the 2008 Masterton Trophy following his recovery from leukemia. In 2000, Poile and the Predators only signed one college free agent, forward Greg Classen. He played two seasons with Merrimack College in 1998-99 and 1999-00. Before that he played for the Nipawin Hawks of the Saskatchewan Junior Hockey League. With Merrimack, he scored 28 goals and 55 points in 72 games. The Predators signed him on March 27, 2000 and he made his NHL debut the following season. He spent five-plus seasons between the Predators and Admirals and accumulated seven goals and 17 points in 90 regular-season NHL games, all with Nashville. He left North America to play in Germany for the 2006-07 season, only to return to play in the Vancouver Canucks, Bruins and Coyotes systems during the 2007-08 and 2008-09 seasons. He once again left for Europe during the 2008-09 season and has played in Switzerland and Germany since. He is currently a player-coach with the Rostock Piranhas of Germany’s third-tier league. Mike Weaver was a defenseman who played 13 seasons in the NHL for the Atlanta Thrashers, St. Louis Blues, Kings, Canucks, Panthers and Canadiens. He played college hockey for Michigan State University, and the Thrashers signed him on June 15, 2000. He finished his NHL career with 633 regular-season games played, eight goals and 97 points. He retired after the 2014-15 season. Similar to 2000, the Predators only signed one college free agent in 2001. This time it was center Bryan Lundbohm from the University of North Dakota. Prior to UND, he played for the USHL’s Lincoln Stars. He spent three seasons with UND, from 1998-99 through 2000-01, and totaled 56 goals and 124 points in 122 games. He helped them win a national championship in 2000 and to a second-place finish in 2001. He was named to the 2000 and 2001 NCAA’s All-Tournament Teams and the 2001 WCHA’s first All-Star Team. The Predators signed him on May 2, 2001 and he played in their system for three seasons, all with Milwaukee. He also played in the Minnesota Wild, Lightning and Red Wings systems. He played in Finland and Denmark in 2007-08, the AHL in 2008-09 and split the 2009-10 season between the AHL and Norway. He retired after the season concluded. Goaltender Ty Conklin played four seasons with UNH before the Edmonton Oilers signed him on April 18, 2001. In college, he was a two-time conference all-star, a two-time All-American and was a finalist for the 2001 Hobey Baker Award, which was won by Ryan Miller. He spent nine seasons in the NHL with the Oilers, Red Wings, Blues, Buffalo Sabres, Columbus Blue Jackets and Pittsburgh Penguins. He finished his NHL career with a 96-67-21 record, 21 shutouts, a .906 save percentage and a 2.69 goals-against average. He retired after the 2011-12 season. Poile went 11 years between signing college free agents, which seems hard to believe. Perhaps it was the lack of success he had with them and he wanted to build through other means, or perhaps he couldn’t sign them. Either way, there was a sizable gap between Lundbohm and Jack MacLellan, their 2012 signing. MacLellan, a winger, played in the Alberta Junior Hockey League before a four-season career at Brown University between 2008-09 and 2011-12. In those four seasons, he accumulated 46 goals and 101 points in 121 games played. He was named to the ECAC’s second All-Star Team in 2011 and 2012, and was a first-team All-Ivy League player in 2012. The Predators signed him on March 10, 2012 and he played in the AHL and ECHL in 2012-13, the ECHL and the United Kingdom’s EIHL in 2013-14 and the AHL and CHL in 2014-15. He retired after that season. 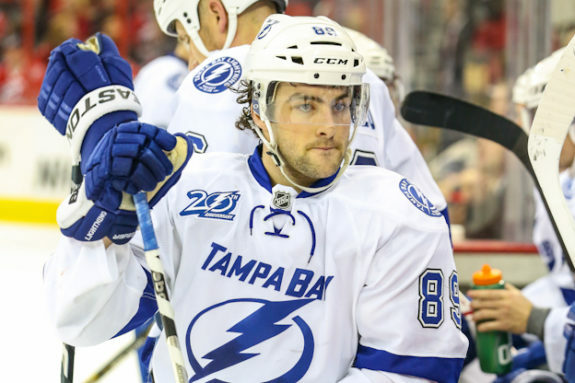 Cory Conacher has bounced around between many teams since graduating from Canisius College in 2011. After his 2010-11 season ended, he was signed to amateur tryout contracts by two teams, including the Admirals. On March 1, 2012, the Lightning signed him as a free agent and he’s since played for the Senators, Sabres and Islanders, and is currently back with the Lightning. He has 28 goals and 74 points in 189 career NHL games and has dominated the AHL. J.T. Brown was also signed by the Lightning in 2012, on March 28. He had a productive two-season stint with the University of Minnesota-Duluth and helped them win the 2011 National Championship. Since being signed, he has appeared in 358 regular-season games and has scored 23 goals and 71 points. He currently plays for the Wild. It’s interesting that a GM as savvy as Poile hasn’t dabbled in college free agency since 2012. He was burned by the Vesey situation in 2016 and perhaps that’s a reason he’s stayed away from them. However, considering the success they’ve had in recent seasons and that they are a low-risk/high-reward signing, I think it’s safe to assume Poile will have no choice but to enter the market in future years.